You are currently browsing articles tagged history. 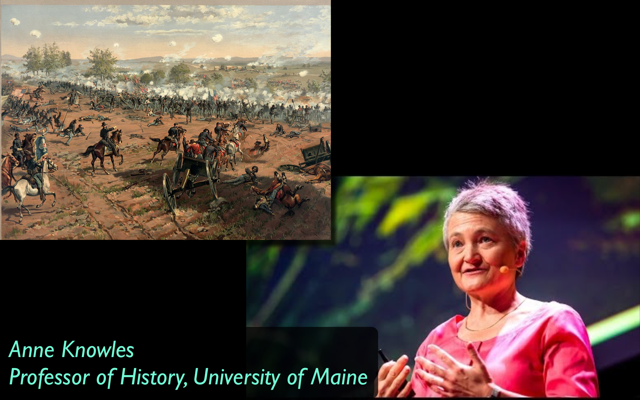 The latest guest presenter for UMaine’s Digital Curation program uses digital tools to scour sites of trauma to recover stories of the traumatized. Scholars assess the spatial dimensions of the Holocaust, how to tell stories with real-time games, and how Satan went viral in Salem at the 2015 Digital Humanities Week from 21-25 September. 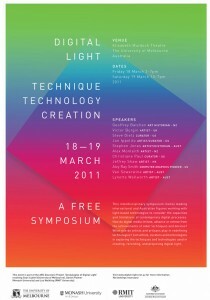 Digital light is both the subject and the medium for Jon Ippolito’s “The Panopticon Is Leaking.” This teleconference presentation at the University of Melbourne traces the historical roots of light as both a metaphor for knowledge and a means of control, and questions the relevance of this legacy for age of Internet phenomena such as Anonymous and Wikileaks. 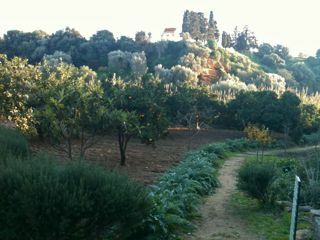 The permaculture philosophy of dynamic preservation turns out to have ancient roots in Sicily. Last December Joline Blais surveyed a Permaculture site near Caccamo founded by noted Australian sustainability gurus Julia and Charles Yelton, as well as a reconstructed citrus garden originally cultivated by the ancient Greeks of Agrigento.